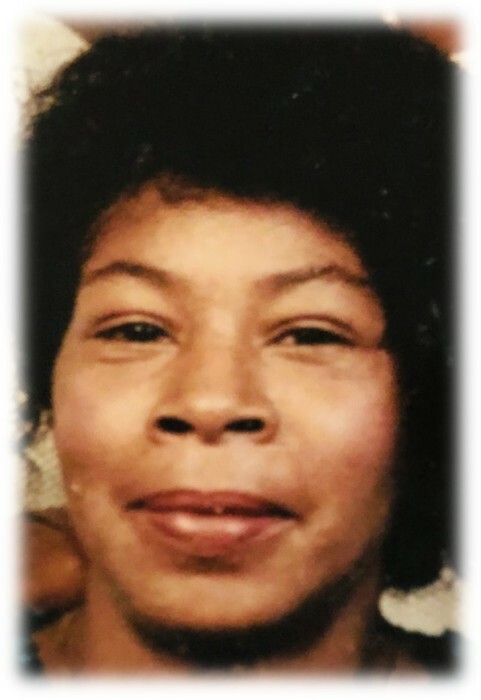 Ms. Lonnie Mae Lotharp was born to Clyde and Isabella Broadway Lotharp on Wednesday, November 15, 1950 in Union County, North Carolina and departed this life ever so PEACEFULLY on Sunday, February 23, 2019 at Atrium Health Care System in Monroe, North Carolina. Lonie Mae joined Piney Grove East Missionary Baptist Church at an early age. She was preceded in death by her parents, five brothers: Clyde, Haywood, Charles, Cecil, and James Lotharp; one sister: Shirley Lotharp - Huntley. She leaves to cherish three loving and caring sisters: Flossie Lotharop - Gilbert of Washington, DC, Mrs. Lottie Lotharop - Parker of Wingate, North Carolina, and Mrs. Phillis Lotharop - Marsh of Monroe, North Carolina; two sister - in - laws: Rutha Mae Lotharp of Marshville, North Carolina and Carol Lotharp of Wadesboro, North Carolina. Lonie Mae was a loving and devoted Auntie to her twenty - one nieces and nephews throughout her life, always meeting them where they needed her to be.